When you have large and/or damaged trees, cutting them down means risk of injury, and our professionals are trained and well-equipped to take care of all of your needs. It’s no surprise that larger trees typically cost more to trim than smaller trees. Larger trees have more branches and may require additional equipment, depending on their height - good thing you found us- at Donovan Tree Services, we got you covered with affordable pricing! Be sure to visit our gallery or news section in our website to view recent job's we've completed. 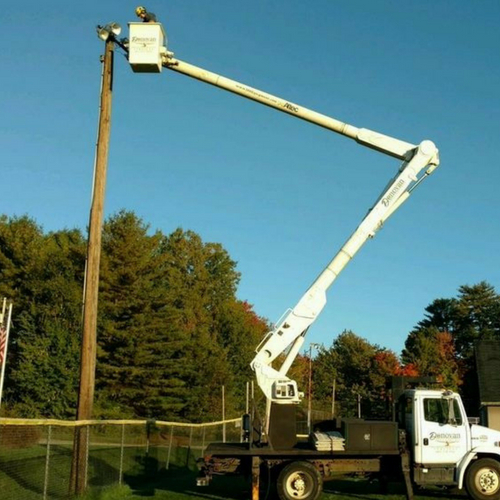 If you're interested in any of our crane services, storm damage, or tick spraying, be sure to contact us today!